Step 3 puts into action the careful preplanning completed in the earlier stages. 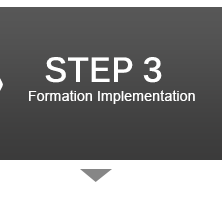 The formation implementation stages sets into action the key tasks involved in preparing your school operation and opening day. This phase can take anywhere from 6 to 18 months depending on the scale of your project and whether you are going to build new facilities or renovate existing facilities. HEG will provide an experienced team to complete the scope of deliverables listed below. This is based on the premise that the founders will provide sufficient on-site staff to support and coordinate with HEG the development of the school during the pre-operation phase. 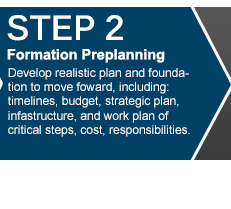 This team-based approach keeps costs down and ensures a seamless and coordinated development process. A team is mobilized on site approximately 12 months prior to opening day. This planning team will work with HEG’s staff and consultants to complete the needed activities to ensure that the school is fully prepared and ready for opening day. HEG’s team will provide the central services to lead the formation process, while coordinating with the Client-based team(s) during the pre-operation phase. Additionally, HEG will share a portfolio of third party professionals that may to be engaged by the Client to support the development of the school, including functions such as, but not limited to: local regulatory authorities, legal, architectural, publication design/printing, web design/hosting, procurement, I.T., etc. However, there may also be locally-based third party contractors that the Client may wish to retain as an alternative. The list of participants below is provided for informational and reference purposes only. 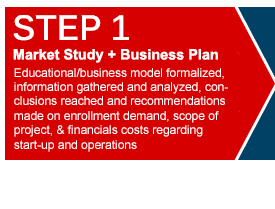 There may be other start-up responsibilities that are locally unique to your project that cannot be identified until HEG has fully discussed the scope of the project with the Client and completed the Market Study and Business Plan. If you would like more information about how to start a school, or project assistance with starting a private school, don’t wait…let’s make it happen!! 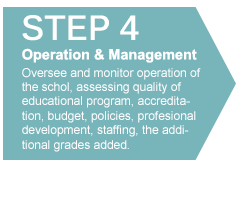 Please call HEG at +1-800-687-1492 or email me at info@halladayeducationgroup.com to take the next step.